You are browsing the Blog for Universal Active Filter Archives - Exclusively Analogue. The quieter Winter period has meant more time to build the various systems and modules we have to offer and one of the most recent has been the Universal Active Filter. Below are photos of one that was shipped over to Belgium recently. 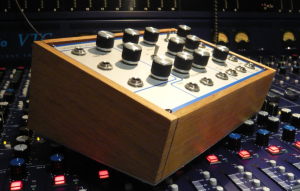 This one uses a number of the same original components from the eMu UAF while our Belgian friend built the wood casing himself. Next up is a nice Christmas break and we wish you all the best for the festive period. It’s been a while since my last blog mainly because my ‘day job’ of flying an airliner has kept me very busy recently. I, like so many people Worldwide, have joined the ‘Apple’ family and ended up with an iPhone and an iPad. One of the interesting things I noticed was a number of Apps (Applications) that you can get for musicians including some quite good analogue synthesizer ones. There is a very good app from Korg, that recreates the famous MS20 synthesizer, and another from Akai. 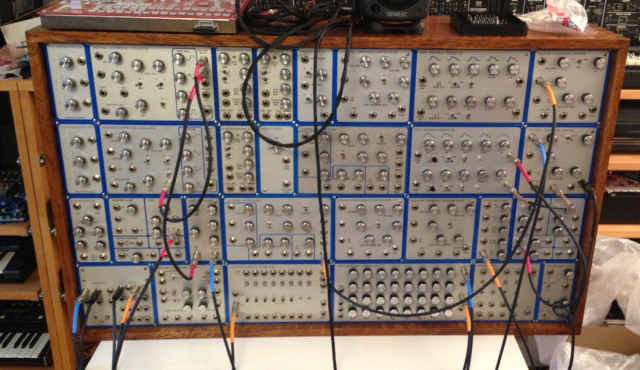 Both allow you to recreate some very realistic analogue synth sounds on your iPhone/iPad. The downside however is the lack of tactility that you get from the ‘real thing’ and you are left trying to get used to finger movements on the screen and that takes time to master. It’s so much easier to just tweak a knob or switch on the real thing!! 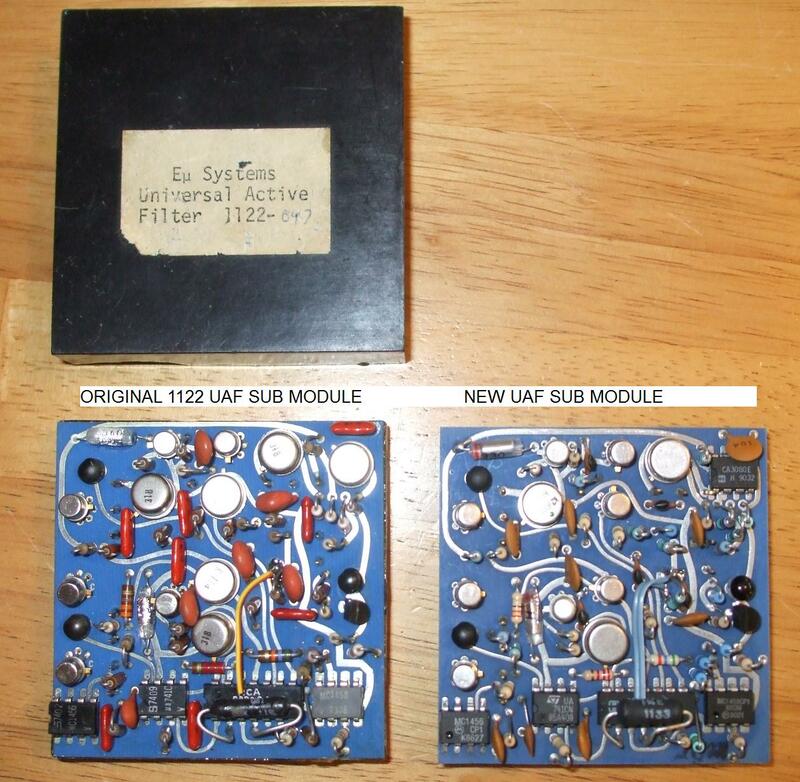 I have been doing some experimentation and detective work recently with the primary aim of trying to find some alternatives for the AD820 and LM114 dual matched transistors used in the Emu UAF module. Fortunately I have now found alternatives from Linear Systems that match the characteristics of the originals so I can now build more Universal Active Filters if anyone wants them. I have done all of the work ready to produce new main and sub module circuit boards as well having the front panels already made. The Universal Active Filter will be the first module that can be purchased separately so it can be added to existing Emu Modular systems or even to other modulars provided a suitable power source is available. Further details will be on the website shortly but if you are interested in getting a UAF just send us an email. 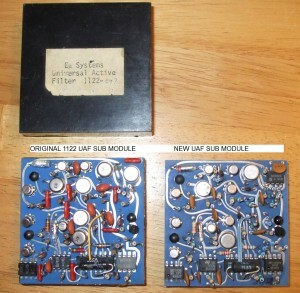 The picture above shows an original UAF sub module and a new one that I completed recently. In a side by side test the sound you get is identical!! It gives me great pleasure to announce that the first Pioneer “Tribute” system will be on it’s way to Switzerland. This now means there are only 7 more systems left for sale. If you are interested in purchasing one the necessary details are at the bottom of this post. From the outset of the Pioneer “Tribute” project I was keen to ensure that it was a high quality product. All the components used are to equal or better specification than those used by Emu back in the 70s. In some areas there have been improvements beyond the original. One example of this is in the oak cabinet and the mounting of the individual modules. The panels are made to very exact dimensions and I have just received the mounting metalwork which has been made to the same exact standards. This means that there are no unsightly gaps between the modules and they almost blend into one! The panels themselves are not paint on top of the aluminium but instead the ink is impregnated into the metal. The result is a much sharper finish that is resistant to scratching unlike the original panels. The oak cabinet has been made by a professional cabinet maker and is the finishing touch. I could have used Walnut, which was the wood used in most of the originals, but decided to add a British touch and I think the finish on the oak works well to highlight the modules. The rear panel, which has the power supply mounted on it, has the “Tribute Limited Edition” text and each of the 10 panels are individually engraved “Number * of 10”. I’ll have the first complete system built up in the new cabinet on Tuesday and I will post some pictures once it is done. I have now finalised what will be in the Tribute system and added some useful modules which I’m sure people will like. 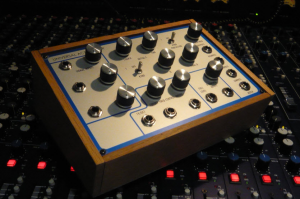 The first additional module is the Lag Processor (useful for glide effects and much more). The second is the Ring Modulator which can be used to create a number of interesting effects including ‘bell type’ sounds. Lastly I have decided to include the new MultiMode filter since this adds so much to the system and complements the 24dB Low Pass filter. The MultiMode filter provides 12dB Low Pass, High Pass, Bandpass, and Notch outputs so great for the ‘buzzier’ sounds and reverse envelope sweeps. 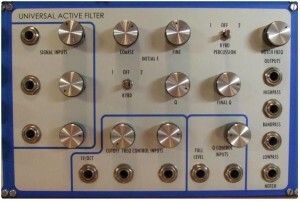 Although the MulitiMode filter is not an Emu original, they produced the Universal Active Filter, it is made to fit into the system so it doesn’t look out of place. 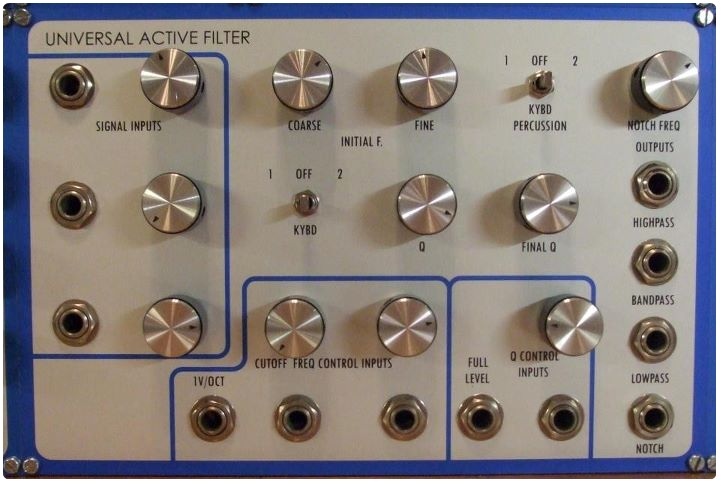 I’ve also decided to do a small run of the Universal Active Filters to either be added to the Tribute system (at an additional cost) or existing Emu modular systems. I will only make about 10 of these UAFs to the original 1122 specification before looking at doing a redesign to replace the obsolete components. The 7 remaining Pioneer ‘Tribute’ systems are now available to be purchased for a total cost of £4000 per system (plus shipping). Each system is individually built and can be customised slightly to the buyers requirement. A £500 deposit is required to secure a system with the remaining balance (plus shipping) being payable before delivery. If you are interested please use the “Contact Us” section of this website to get in touch.